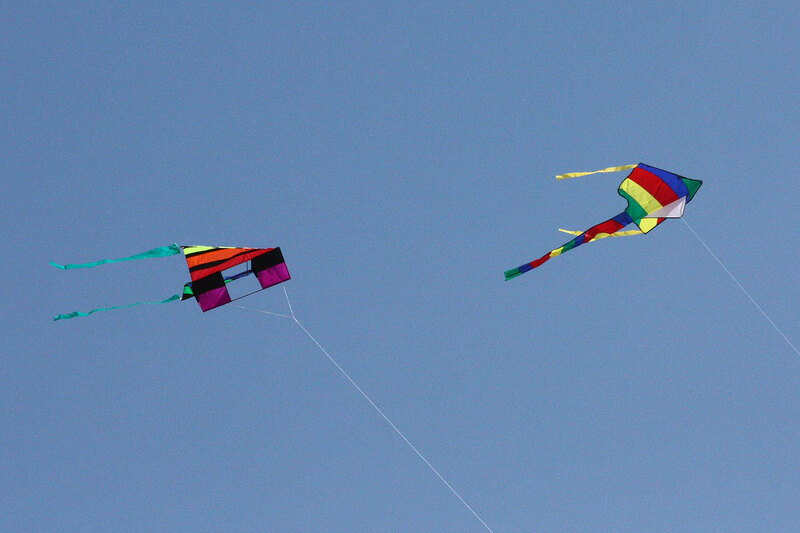 Met up with Steve, the kite man at the local park again. This time he had a chance to fly more of his impressive homemade kites. I was looking forward to this because it also gave me a chance to test how my new DJI 450 quadcopter will be able to handle the strong 10 to 15mph winds. I was pleasantly surprised how my quadcopter was able to handle the strong wind with a camera gimbal, GoPro and FPV gear on board. The wind gust was a different story though. I saw how my quad struggled to hold position and I had to negotiate the throttle and pitch to move forward and avoid tipping. Thanks for watching and hope you’re having a great day. Thanks BlueFlyerTV for a great drone video!